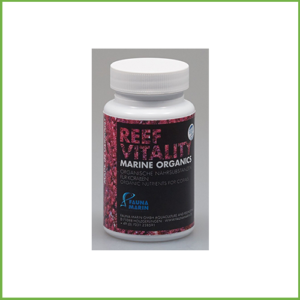 AF Amino Mix is a supplement containing concentrated amino acids crucial for corals’ healthy growth. Using strong skimmers in marine aquariums frequently leads to amino acids deficiencies and water sterilisation. The low content of nutrients causes reduced pale colouring and even bleaching of corals. 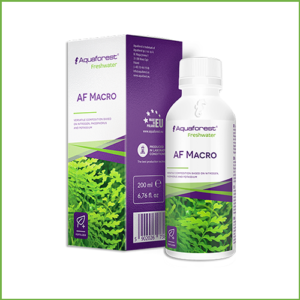 AF Amino Mix completes water with all the necessary amino acids, thus prevents corals from bleaching and boosts their colours. The unique composition of AF Amino Mix is based, among others, on biotin, alanine, glutamine, leucine, lysine and serine. 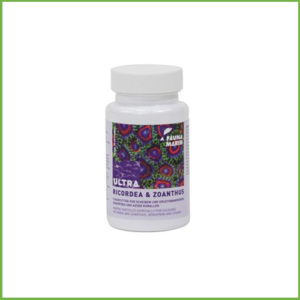 Carefully selected set of amino acids increases the amount of zooxanthellae which support the production of photosynthetic pigments such as chlorophyll. 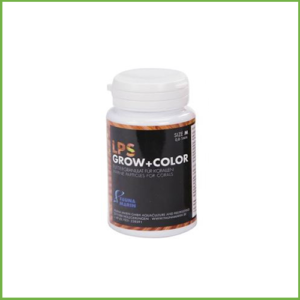 Thus, Amino Mix not only boosts coloration, but also improves the quality of photosynthesis. As a result corals derive more energy from the light, stay in perfect condition and grow faster. 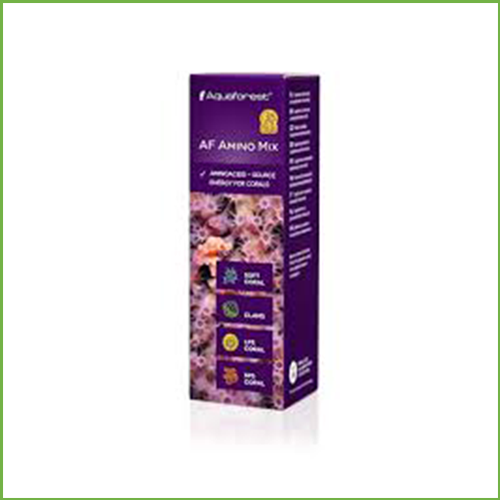 Regular use of AF Amino Mix improves immunity and noticeably accelerates corals’ growth. 1 drop per 100 l (27 US gal) of water every other day after lights out. Do not dilute. Do not mix together with other products in one container. The product can be dosed by a dosing pump, provided it dispenses with drops. Store in the fridge, if the temperature exceeds 24 C.
All coral supplements have a recommended dosage of 1 drop per 100 l of water, though, it’s important that each aquarium is different and the dosage may vary depending on the coral cast. 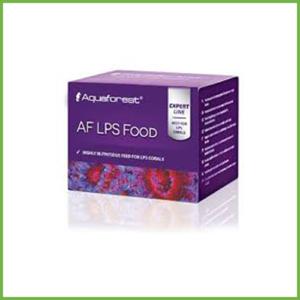 We recommend starting dosing foods and supplements from half of the dose (even ¼) and observing the corals and their reactions to the administered food. Once the aquarium shows no sign of overdose, we recommend increasing dosage to the target dose. In order to facilitate the food absorption, SPS and LPS corals should be fed after the light is out. Corals such as Zoanthus, Ricordea and other mushroom corals should be fed during the day. In order to ensure the best nutrients absorption, all supplements and foods for corals should be dispensed directly into the aquarium. During the feeding we recommend switching off the skimmer for about an hour. Warning: Do not over tighten the screw, otherwise the cover might be damaged. 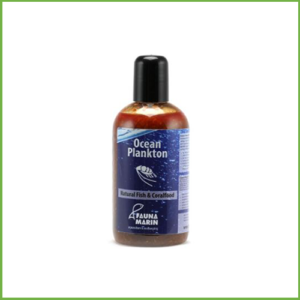 Product for aquarium use only. Store in a cool place away from the light. Keep away from children.